Kids rev their engine and are ready to ride when they hop onto a best pocket bike. 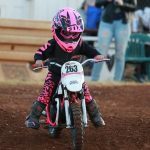 These bikes, along with the kids’ dirt bikes, are becoming increasingly popular in many countries across the world as they immerse children and teenagers into motorcycle riding allowing them to safely learn how to ride off-road. Cruising around the neighborhood is much more fun on a pocket bike than it would be walking or riding a traditional pedal bike! Lucky for you, we’ve compiled the top pocket bike reviews to bring you the top choices available for sale. Save yourself the time searching the internet and read our straightforward buying guide designed to help you purchase the best pocket bike for your child. In this article, we will be breaking down the choices based on the electric pocket bike category and gas powered bikes that include pocket bikes for kids and super pocket bikes for advanced riders. Let us help you to find your child’s new favorite outdoor toy! Razor is well known for their excellent electric dirt bikes, not to mention the range of some of the best electric scooters on the market. Not many people know, however, that the company has also brought a pretty neat pocket bike onto the market. If you are looking for a reasonably priced pocket bike packed with power, the Razor Pocket Rocket Miniature Electric Bike will take your teen for a wild ride. Designed for ages 13 and up, this bike can hold up to 150 pounds. The high torque motor will have riders speeding up to 15 mph with an advanced design that is similar to a full-size street bike. Measuring at 36 x 30 x 21 inches, this is a scaled-down version of the real thing that runs off of two 12-volt batteries for cruising as long as 45 minutes of excitement. Kids are attracted to the bright red design with racing graphics that will have them standing out in controlled street environments. With large pneumatic tires, this pocket bike features a smooth ride over any hard surface. Quiet operation, hand breaking and variable-speed options with the twist grip throttle make this a dream for young riders who aspire to be speed racers! >> Check out Razor Pocket Rocket Miniature Electric Bike on Amazon right here. Another excellent pocket bike for sale by famous Razor. The Razor RSF650 Street Bike is a low profile bike that features custom 12 inch wheels with street tires. The 650 watt chain-driven motor sits on a steel chassis frame and cruises up to 17 miles mph. The three included 12-volt batteries allow for up to 50 minutes of riding around town. This is a great introduction for young riders to learn how a motorcycle works as it is a small electric version! The sleek white, black and red design of this pocket bike is sure to bring attention to your teen or young adult. Ages 16 and up can grab onto the adjustable handlebars and get used to steering the two-wheeled street bike. This bike can accommodate up to 220 pounds and features a hidden compartment for extra storage. Pocket bike reviews rave that this Razor Street Bike gets lots of compliments and will have other kids in the neighborhood wanting to ride! >> Check out Razor RSF650 Street Bike on Amazon right here. The MotoTec MT-03 36 Volt Electric Pocket Bike is a stylish bike designed for speeding through the neighborhood. It goes up to 20 mph and boasts both front and rear disc breaks for smooth breaking. With great handling and large 11 inch street tires, kids to work on their riding skills by circling around cones and practicing safe turning. The total dimensions of the bike are 24 x 5 x 43 inches, making it compact enough for storage in your garage or backyard. Kids 12 and up can enjoy riding on this powerful pocket bike that holds one rider up to 150 pounds. Compared with other bikes, this model has a much longer riding time and even shows a battery meter so kids know when it needs to be recharged. 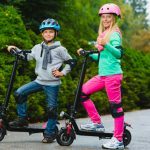 It comes fully included with the three 12-volt batteries and charger, just make sure your child has on their helmet when they hop on to ride. Parents will need to do some basic assembly, but it won’t be long before your child is ready to speed away! >> Check out MotoTec MT-03 36 Volt Electric Pocket Bike on Amazon right here. Teens love the bold design of the MotorTec Cali 36-Volt Electric Pocket Bike. A single rider up to 150 pounds can cruise like the pros on this beautiful piece of motor craftsmanship. With total dimensions of 40 x 20 x 21 inches, this bike is best for children ages 13 and up. The matte black body with red body makes this an attractive pocket bike for both girls and boys. This bike is not just for show as it speeds up to 15 mph which is great for beginners who are still learning how to ride. This outdoor toy handles exceptionally on hills, bumps and virtually any terrain. Kids can ride off-road trails with ease or cruise around on the pavement with the thick 11 inch street tires. The electric bike requires some simple assembly, but once you plug in the three 12 volt batteries, this bike will last for plenty of riding fun! If you are in search of the best pocket bike that offers a combination of style and speed, the MotoTec Cali Electric Pocket Bike is surely a hot pick for your child. >> Check out MotorTec Cali 36-Volt Electric Pocket Bike on Amazon right here. PCC Motor’s 40CC 4 Stroke Mini Bike has a gas powered motor that reaches speeds up to 30 mph. The metallic blue color and professional design has this mini super bike looking like a trendy street bike. This model is only intended for recreational use but will still be a blast for a single rider up to 165 pounds to ride on off-road trails. The will enjoy the 40cc size bike that will prepare them for the next step. The size of this bike fully assembled measures at 40 x 24 x 24 inches, which is a decent about smaller than a professional street bike. When the bike arrives, parents will need to perform some basic assembly to attach the plastic body pieces and handle bars. In about 10 minutes, the pocket bike will be ready to ride! The gas tank holds up to 1.25 liters of unleaded premium gas which will last for about 30 miles before needing refilled. With convenient safety features including a kill switch and large brakes, parents can feel confident that their child can get build their riding skills on this mini pocket bike. >> Check out PCC Motor’s 40CC 4 Stroke Mini Bike on Amazon right here. The Venom Premium Pocket Bike is a safe, high quality 49cc pocket bike that is perfect for country trails and neighborhood racing. Compared with other gas powered bikes, this model is much faster as it rides up to 45 mph. With a fully automatic transmission, kids and teenagers will not need to worry about learning how to shift gears. Front and rear disc brakes allow the bike to firmly stop on any terrain making this an excellent choice for beginners. A single rider up to 180 pounds can cruise around the driveway or parking lot with the large 11 inch street tires featured on this 39 x 20 x 25 inch pocket bike. This bike is not designed for street riding, although your child will not be missing out as they can engage in off-road riding fun! The glossy black and red colors on the body will draw attention from all of the kids in the neighborhood. >> Check out Venom 49cc Premium Pocket Bike on Amazon right here. The Rosso Motors Motorcycle is a gas powered pocket bike with a unique black and grey camo design. This sleek bike is ideal for kids ages 5 and up as it measures 38 x 22 x 20 which is much smaller than a full size street bike. 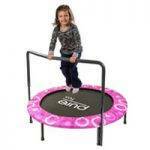 It holds up to 165 pounds which is even enough to hold some adults. With a 2-stroke EPA approved engine, kids can speed up to 15 mph around the driveway or on local trails. Rev the bike up with a pull start and kids can speed around off road on the 11 inch pneumatic street tires. The light frame makes this model easy to maneuver around twists and turns for the ultimate biking adventure. This is all-around a great beginner bike with a fully automatic transmission which means there is no shifting gears. Kids will be ready to show off the sleek, urban design to all of their motocross loving friends! >> Check out Rosso Motors Motorcycle on Amazon right here. The MotoTec Cali 40cc Gas Pocket Bike is powered by a pull start and rides for up to 20 miles per gas tank. With a 1.2 liter tank, there will be plenty of off-road riding to experience on this stylish bike. Riders ages 13 and up weighing no more than 170 pounds can hop on for a smooth riding experience. The overall size of this bike measures as 40 x 19 x 23 inches with 11 inch street tires which are standard for most gas powered pocket bikes. Front and rear brake pads bring this bike to a stop making it easy for riders to observe safe riding practices. Not only is it a great first pocket bikes because of the dual braking system, but the padded seat makes it comfortable for a single rider. You can even adjust the angle of the handlebars for a personalized grip. The sharp looking frame will have others mistaking it for a professional street bike. >> Check out MotoTec Cali 40cc Gas Pocket Bike on Amazon right here. The Dongfang Bullet-Ant Pocket Bike is a gas powered bike that has professionals feeling like they are on a real street bike. This 110cc pocket bike speeds up to 25 mph and is great for trails and off-road terrain. The 4 stroke engine is built for superior performance and is even backed by a 3 month parts warranty. Other features that set this model apart from comparable pocket bikes is that it includes a free tool kit and lift-gate service. For easy assembly, the bike comes from the factory 95 percent assembled and only requires a few adjustments before it is ready to ride. Teenagers will have plenty of riding time with the 2 liter gas tank. The 3.5 liter economical oil exhaust system and chain drive transmission are durable enough for extensive wear and tear. After hours on end of riding, this pocket bike will still be ready for the next adventure. The black and red design will surely stand out as your child is exploring the outdoors! >> Check out DONGFANG Bullet-Ant 110CC Pocket Bike Gas on Amazon right here. The Coleman Powersports CT200U is a gas powered, 196cc bike that will have riders cruising through the wind. The classic-looking red and black design may take you on a nostalgic trip down memory lane. This sturdy off-road bike for youth is powered to last for multiple years with a durable a stroke OHV 1 cylinder engine that features 6.5 horsepower. The bike measures at 46 x 30.8 x 21 inches in the package and weighs a total of 112 pounds. For added convenience during your child’s adventure, they can use the carrying rack to bring their belongings for the ride. The bike comes with all of the tools required for assembly which makes it easy to get your teenager on the trails in no time. The engine starts with a quick start operation and when your child needs to slow down, they simply squeeze the handle operated braking system. This bike is designed for professionals who can use a clutch transmission and the low pressure tires will deliver a smooth ride! >> Check out Coleman Powersports CT200U Gas Powered on Amazon right here. Pocket bikes offer loads of excitement for riding on off road trails. They are designed to look just like real street bikes, just a smaller version. Here are some helpful tips to help you choose the best pocket bike. Safety First – No Exceptions! Protective Gear is A MUST! Safety should always be your top priority when purchasing a pocket bike. Protective gear is essential for riders of all ages to keep their body protected in the case of a fall. Here are the top five products for safe riding experience. The LS2 Helmets FF392 Junior Full Face Motorcycle Helmet is an absolute must-have piece of protective gear as it protects the full face and head while in motion. This helmet is designed for children and teenagers to have a precise fit that is both comfortable and odor resistant. The inside liner is also anti-bacterial and easy to remove for washing. Safety and durability are of utmost importance especially when purchasing a helmet. This model is DOT certified which is a feature that you should look for when it comes to protective headwear. With a wide range eye port that features UV protection, young riders will have a clear view when riding outdoors. The shell is scratch resistant with ventilation that can be adjusted for both hot and cold weather. With small, medium and large size options, you are sure to find the perfect fitting helmet for your child. >> Check out LS2 Helmets FF392 Junior Full Face Motorcycle Helmet on Amazon right here. Fox Kids Titan Knee and Shin Guard is a great way to protect your little rider’s legs from injury when riding on a pocket bike. This product comes with a set of two guards, one for each leg measuring at 15 x 7 x 4 inches. They are the ideal size for older children with adjustable straps for firm fitting protection. Weighing at only 9.6 ounces, they won’t feel heavy on your child’s lower legs. These guards are made of high quality plastic designed to withstand impact from a motor sports fall. Kids can still bend their knees comfortably while having the added safety of knee and shin guards. They won’t interfere with walking when getting ready to hop on the pocket bike. No more worrying about skinned or bruised knees as these guards are extremely durable. Kids can fall and get right back up again when they have the appropriate level of protection around their knees and shins. >> Check out Fox Kids Titan Knee and Shin Guard on Amazon right here. Fox Racing Youth Titan Elbow Guards feature a one-time adjustment system with Posi-lock straps for kids to ensure their elbows are protected. The straps adjust to a full range of children’s sizes using the elastic velcro that is attached to the guard. Fox Racing is a leader in the off road riding industry as they manufacture a full line of protection gear for motocross sports and pocket bike riding. These guards are created to be a long-lasting form of riding protection for one of the most common points of impact; the elbows. The package will include two guards that have dimensions of 12.5 x 3.5 x 5 inches each. Sized to protect the full elbow and forearm, parents will put their minds at ease knowing their child’s arms are protected. The silicone print on the cushioned bio-foam guard will keep them from moving around, making these elbow guards great for active riders. >> Check out Fox Racing Youth Titan Elbow Guards on Amazon right here. Motorcycle gloves are another must-have piece of protective gear and the Fox Racing Dirtpaw Motorcycle gloves are perfect for use on a pocket bike. This pair of Fox branded gloves come in both X-Small and Small sizes which are ideal for youth ages 3 and up. The Fox lettering and decals are made from white reflective material which make the black gloves stand out when riding in the dark. These are not your standard riding gloves as they feature a Clarino thumb guard and palm for added protection. Little hands will be much more comfortable as the gloves are padded and feature a hook and loop closure. These gloves are designed for maximum gripping with silicone level grips on the inside of the hands. Not only are they functional and stylish, they are built for premium performance and safety. Kids will be able to protect their precious little hands and keep a firm grip on the handlebars. >> Check out Fox Racing Dirtpaw Motorcycle Gloves on Amazon right here. Kids also need to protect their upper body with the Fox Titan Kids Roast Deflector which is a form fitting chest protector. Kids ages 6 to 9 can use this to provide upper body coverage while riding. This is considered an optional piece of protective gear but definitely a useful one that provides ample coverage. When your child is riding a pocket bike, you will want them to have the maximum level of protection. With a non-bulky fit, kids will enjoy a comfortable fit without feeling weighed down as the chest protector only weighs 14.4 ounces and with overall measurements of 13 x 11.1 x 3.5 inches. The size is adjustable with velcro straps on the back with firm padding in the front. It also features plastic protection over your child’s shoulders with the iconic Fox logo. With flexible padding and plenty of airflow, all your child will need to worry about is enjoying the ride. >> Check out Fox Titan Kids Roast Deflector on Amazon right here. Perform a three-point safety check before riding the pocket bike. Test the tire pressure first. Then make any necessary adjustments to the chain tension and handlebars. Finally, tighten any loose bolts or screws. Check whether oil needs to be added to the gasoline. The instruction manual should mention whether this is needed as not all pocket bike motors require the addition of oil. If oil is required, carefully note the proper amount to ensure that you are filling it according to the recommended measurement each time. Conduct maintenance before use and after every four hours of riding. The chain should be oiled for maximum performance. Adjust the tension cables for the throttle and brakes to ensure the bike continues to operate safely. Generally, pocket bikes are not allowed for use on public roads such as streets and highways. These types of bikes are designed to be an introduction to motorcycles for kids or simply off road fun for older children. The Department of Motor Vehicles (DMV) regulates the use of mini motorcycles by not allowing them to be registered for street use. Intended for private areas such driveways and sidewalks, these types of bikes work best on flat surfaces such as dry pavement. While they can ride on dirt trails and through grass, the street tires perform best on a smooth surface.There are some super pocket bikes that serve as an exception to the restriction on street use. If you have an older child, you can look into the possibility of registering this type of bike with the DMV. Unless the bike is registered as “street legal” and meets the so-called ‘The Federal Minimum Requirement‘ it should not be ridden on public roads. Pocket bikes are a great introduction to motorcycle riding as they immerse kids in the sport without putting them in danger on the streets. Only ride a pocket bike in conditions that allow for clear visibility. You should not allow your child to ride in rain, snow or fog as adverse weather conditions hinder their visibility. The risk of doing so is that reaction time can be increased and injuries are more likely to happen. Snow and rain are particularly dangerous for riding because they interfere with the wheels gripping the pavement. The pocket bike you purchase should be one that will be appropriate for your child’s weight and age range. When selecting a bike, take note of the maximum weight limit that the bike is able to hold. You want one that will carry your child’s current weight while leaving a cushion for growth, at least an additional 10 to 20 pounds. Most bikes also mention a minimum age, so be sure that your child meets this criteria as well. If you are looking to purchase a first-ever bike for your younger child, a miniature electric pocket bike is the way to go. This type of bike requires less maintenance than a gas powered bike and is smaller in size which makes it a great learning bike. 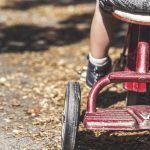 If you purchase a large pocket bike for a child that is new to riding, the chances are that they will have difficulty mounting and balancing on the bike. Gas powered pocket bikes are ideal for intermediate riders who have more confidence in their riding abilities. This category of pocket bikes normally falls within the power range of 40 to 49 cc as they have smaller engine power for a safe ride. These bikes can still speed up fairly fast but are great for children and teenagers to ride on driveways and off road trails. Advanced riders and teenagers can opt for the largest type of pocket bike: the super pocket bike. These bikes closely resemble real street bikes and are often used on go-kart racing tracks. The maximum speeds are much higher than standard electric or gas powered bikes as they are rated at 100cc or more. Be careful with those though, as these kind of vehicles can be dangerous when driven by non-professional. Safety first – always remember that. 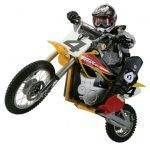 Dirt Bikes for children, especially those made by Razor, and the Kuberg dirt bikes too. 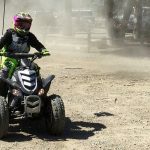 Four wheelers for kids, like the Razor Dirt Quad or even youth dune buggies. Kids’ Go karts or electric scooters – both excellent options, albeit different ones. Finding the best pocket bike shouldn’t be a challenge now that you have all of the information needed to make a decision. 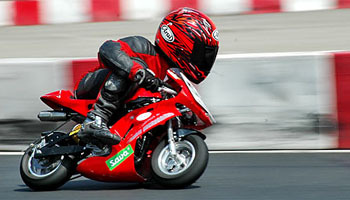 No matter what age your child is, you will be able to find a pocket bike for sale that fits their age and skill level. Don’t forget to purchase protection as you want the rider in your life to enjoy their new bike without worrying about injuries.